I would like to disable automatic stock replenishment after a refund but can't see any in-built option to do this. I figure if I can find the correct PHP file then I can just comment out the update query. Can someone please point me in the right direction? Oh don't worry, it's all backed up every other day. I have setup the Captcha already and am investigating crawl protect as we speak. Thanks John, that's somewhat reassuring. Yeah, that's another extension that allows customer to setup notification for when out of stock products are in stock again. Any advice on how I can get the two working together? Thanks for your help by the way. We are already supposed to be on a VPS so I'm thinking more likely to be the former than the latter. Re: Host appears to have moved file locations and now config files don't work. I saw that thread but I think you've misunderstood the poster. 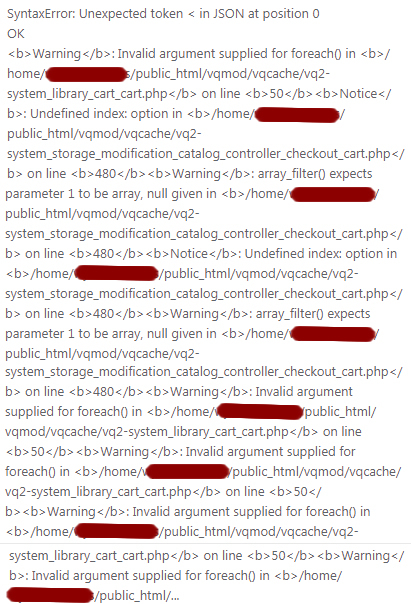 pmahomme is a skin for PHPMYADMIN and not an Opencart shop skin and I think that's where you lost the previous poster. Host appears to have moved file locations and now config files don't work. Starlight, I found this post of yours and will try it later when I have access to my DB backup.